Everyone dream of having a phone with best camera option; for those people here it is Nokia 1020. 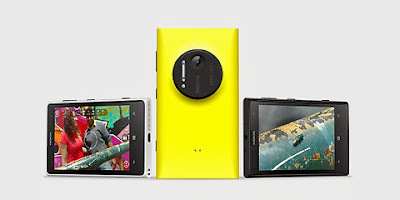 It has a best camera quality with a 41 megapixel. Its display is of 130.4x71.4x10.4mm in size with a weight of 158g. It has an amoled capacitive touch screen with a protection of corning gorilla screen 3. And the best part of the phone is that it has an inbuilt of 32 GB memories with a 2 GB ram with no memory card slot just as in IPhone. Next is the major feature that is it works on Microsoft windows phone 8 OS, It is upgradable to windows phone 8 amber and the camera 41 MP (38 MP effective, 7152 x 5368 pixels), Carl Zeiss optics, optical image stabilization, auto/manual focus, Xenon & LED flash. And the video features are 1080p@30fps, 4x lossless digital zoom, video light. This is not like other phones it has a full HD display we can even watch videos like watching it lively. The windows 8 operating system on the 1020 is simple and amazingly easy on our eyes. It lets your fingers flit around on it. With more Live Tiles, tethering support, custom ringtones for different notifications, rotation lock and more nifty features, the OS takes the streamlined Windows experience to the next level. Powered by a 1.5 Ghz Qualcomm Snapdragon S4 Dual Core processor, the Lumia 1020 allows you multitasking without any lag when you switch apps.